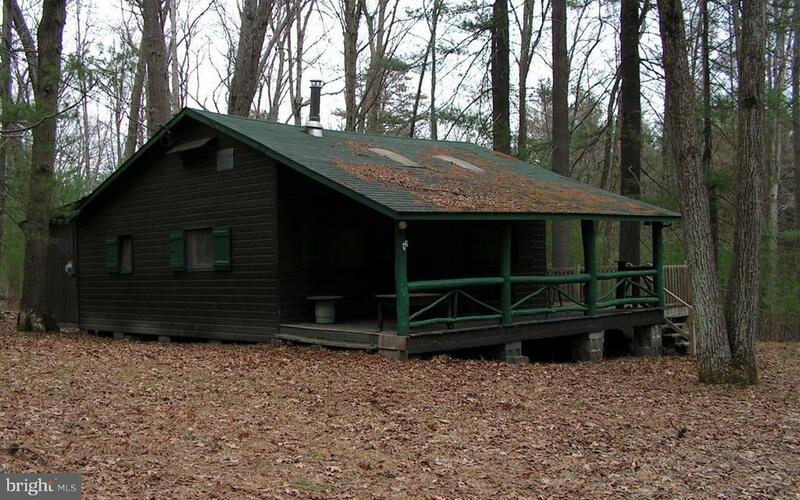 Mountainside cabin tucked within the Michaux State Forest features living room skylights; free standing fireplace; eat-in kitchen with appliances and exterior storage for fishing and boating equipment. Covered porch provides leisurely spot for your favorite rocking chair while side deck offers plenty of space for picnic table and patio furniture. Outdoor enthusiasts can enjoy direct hunting and hiking access as well as boat launch and rentals at nearby Laurel Lake. Priced to sell, this seasonal getaway near Pine Grove Furnace State Park is available to Pennsylvania residents, $200/yr land lease.